A new menu and a whole new outlook on life, customer service and great food & drink. Sophie, Viv and Graham have taken on the challenge of returning Deepdale Café to its rightful place, namely the best café on the North Norfolk Coast. This local family are keen to welcome back their neighbours and visitors for breakfast, a friendly meal, cup of tea or some seriously great cake. Deepdale Café opens at 7.30am each morning until 5pm, offering an excellent range of breakfast options. Then you might want to stay on for the lunch selection before hitting the cake in the afternoon. Sounds like a great day of food. 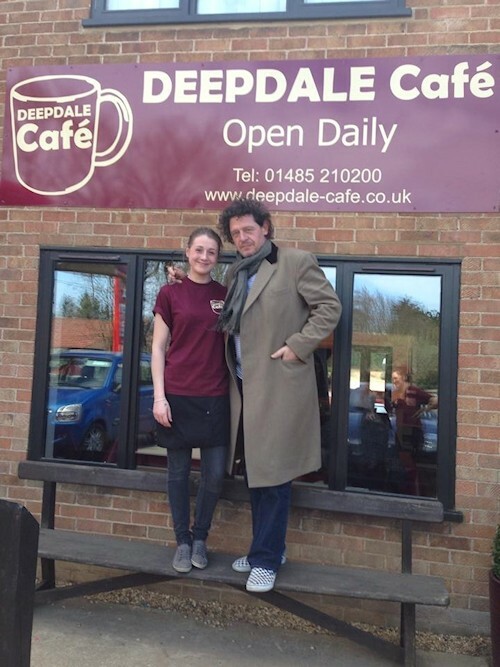 Deepdale Café has already had some famous visitors, including Marco Pierre White! Which menu item will become your favourite? Is it the falafel salad, the fish & chips or maybe the challenge of the Big Breakfast! If you feel you really should do something between enjoying each and every menu item, then you'll love the great shops of Dalegate Market – A bit of retail therapy always helps the digestion. Of course a walk is also an excellent digestive. There's a circular walk starting from the front door of the café and the Norfolk Coast Path is just across the road. Dalegate Market is on the A149 coast road, approximately half way between Hunstanton and Wells-next-the-Sea. There's free car parking at Dalegate Market and the Coasthopper bus service stops outside.